LilMissStyle Blog > 2 much fun with 2 Point Oh!! 3.24.2011 2 much fun with 2 Point Oh!! So while "attempting" (notice the emphasize on attempting lol) to catch you all up on my fashion week events...I delayed to share two of my most recent styling events with Two Point Oh LA. If your one of my followers or personal friends you may have noticed all of those random tweets, text, emails, and facebook posts about voting for me for a Styling Competition...yea it wasn't spam I really was a part of a Styling Competition. 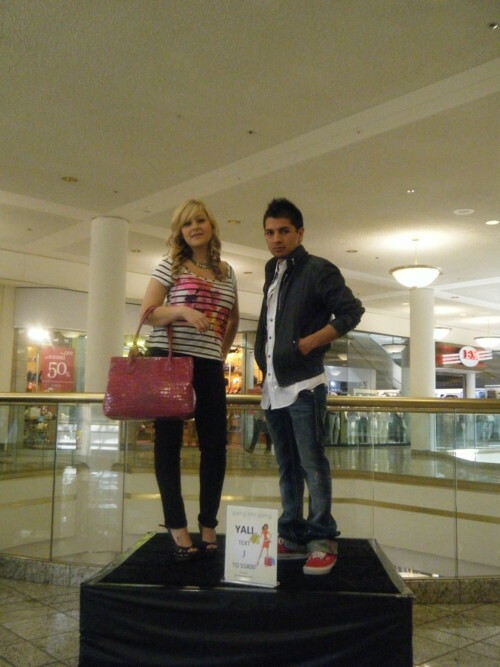 Ten local LA bloggers, including myself, participated in a Styling Competition at The South Bay Galleria. Each blogger was matched up with a store inside the mall and asked to put together looks in a mini Spring Trends fashion show. Each blogger and store was given special codes for viewers to vote in their favorites. To make things easier, think of it as American Idol meets fashion. So that's when all of that random texting, blogging, tweeting, etc came from. Although I didn't win, the day was full of many funny stories that just made the experience more memorable than ever. So here are some of my favorite looks from that day...modeled by my special friends from Yali. Along with theme of Spring Trends, Two Point Oh LA joined the amazing shoowrooms at the CalMart to create a lookbook of some popular Spring Trends. The best part of it all was that all of the looks were styled and modeled by Bloggers.